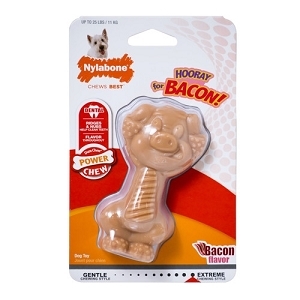 Our Moderate Chew FlexiChew toys are made with softer material so gentle chewers can enjoy a bone of their own. 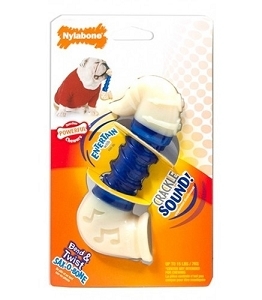 Not for use with powerful chewers. Be sure to select the right chew and size for your dog s particular chewing style. Bristles raised during chewing will help to clean the teeth, and this cleaning action will help control plaque and tartar bu. Inert Soft Thermoplastic Polymer, Chicken Meal. Not Consumable.